It's like they're not even trying anymore! A bandanna over his face? Really? They thought this was a good idea? 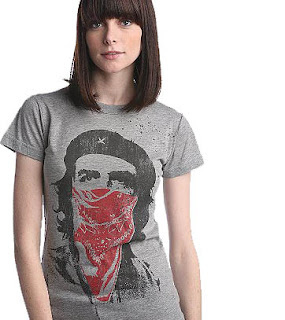 I'm going to hate seeing dumb kids everywhere showing everyone how Socialist they are by wearing their very own 28 dollar Che t-shirt. Goodness, talk about being annoying...I'll bet half the people who end up picking up that t-shirt don't even know who Che is. Or what a keffiyeh is about, for that matter.